3. Edit the Always automatically restart at the scheduled time setting by double clicking on the item in the list on the right. By default the Not Configured radio option is checked, change that to Enabled and click OK. 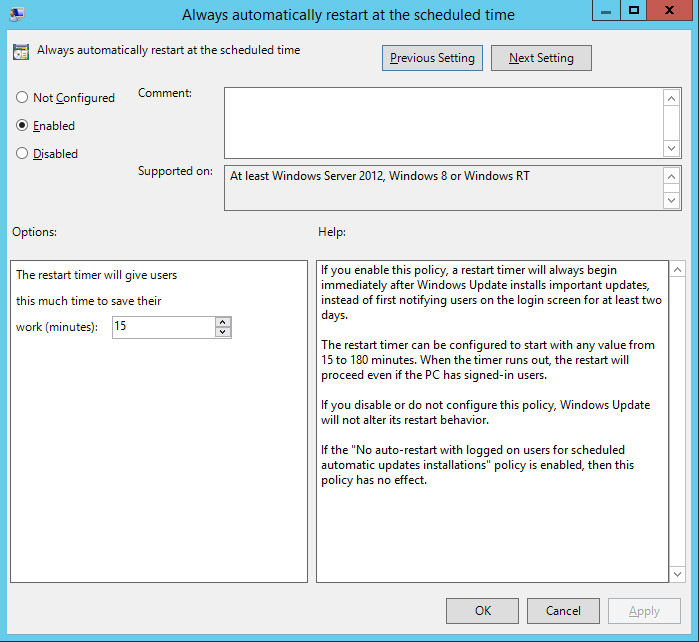 This will configure Windows Update to automatically restart within 15 minutes after a patch is installed that requires reboot. 4. 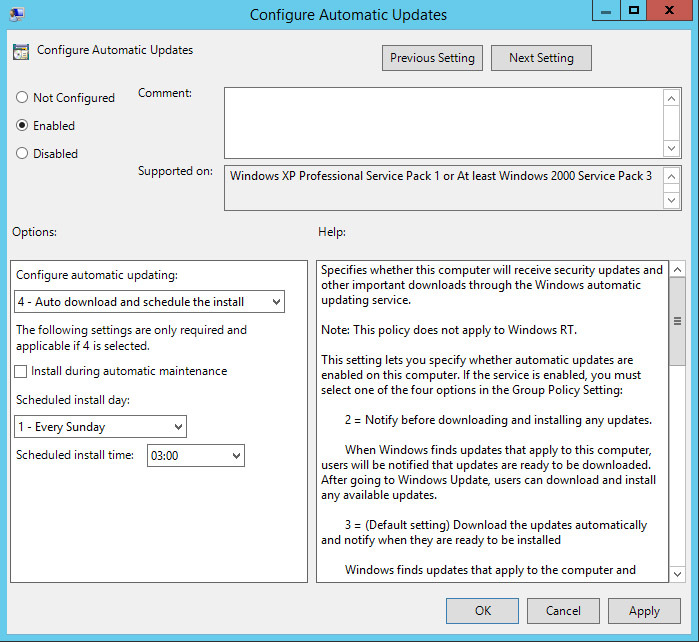 Edit the Configure Automatic Updates setting by double clicking on the item in the list on the right. By default the Not Configured radio option is checked, change that to Enabled. In the Configure Automatic Updates dropdown box, select 4 – Auto download and schedule the install. Select which day you would like updates to be installed and at what time of day.